Any organic compound composed only of carbon and hydrogen. Any organic compound composed only of carbon and hydrogen. Because carbon atoms can form double and triple bonds, and chains and ring structures, this produces a huge variety of combinations. The simplest hydrocarbon molecules include methane, ethane, and propane. Like other hydrocarbons they are found in natural fossil fuel deposits, and are a major source of energy. Because carbon atoms can form double and triple bonds, and chains and ring structures, this produces a huge variety of combinations. 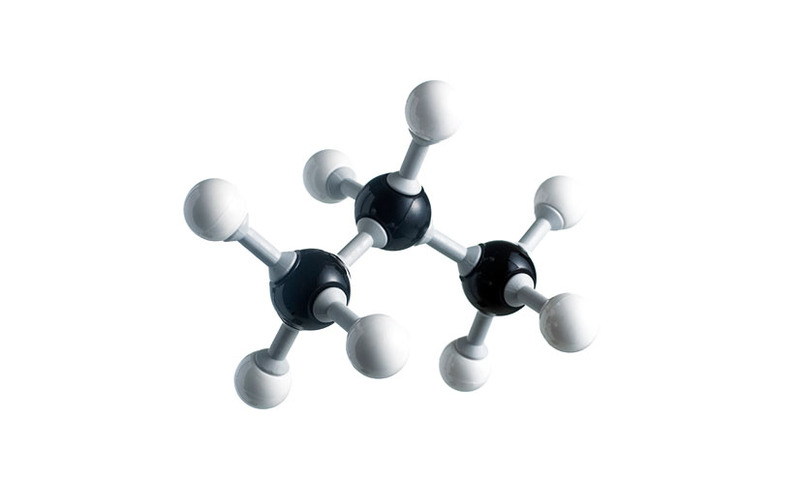 The simplest hydrocarbon molecules include methane, ethane, and propane. Like other hydrocarbons they are found in natural fossil fuel deposits, and are a major source of energy.